The integration of environmental, social and governance (ESG) factors into investment processes and decision-making is on the rise globally. The responsible investing market is worth almost $23 trillion, representing around half of all assets managed in Europe and more than a third in the U.S, according to JPMorgan Chase. Nearly every market in the world has its eye on ESG-focused or socially responsible investment (SRI). Israel is no exception. The Israeli market, albeit small on an international scale, is intensely linked with global markets. Israel has earned a reputation for creativity, innovation and entrepreneurship, attracting multinational companies. More than 300 global companies have opened R&D sites in Israel, including corporate giants such as Google, Apple, Microsoft, Intel, Ford, GM, Cisco, eBay, Applied Materials and Texas Instruments. The seeds of Israel’s interest in the ESG-focused investment market were planted over a decade ago. In 2005, the Tel Aviv Stock Exchange (TASE) launched the TA-Maala SRI equity index at a time when SRI indices were rare. The TA-Maala SRI index is based on the Maala CSR Index and has consistently outperformed other major benchmark indices over the past 10 years. Companies included in the TA-Maala SRI Index represent roughly half of the total market value of all companies traded on the TASE. These indicators exemplify the growth of opportunities for ESG-minded investors in Israel, said Momo Mahadav, president and CEO of Maala. “We think that is a very high percentage of the market, if you compare it to other markets,” he told TriplePundit. Heather Lang, executive director of sustainable finance solutions at research and ratings agency Sustainalytics, agrees. “I believe there is a strong opportunity to attract ESG investors to Israeli companies, especially given the high degree of sustainability innovation coming from Israel,” she said, noting the country’s leadership in desalination, solar energy and clean tech as specific examples. He noted the efforts of reporting frameworks such as the Sustainability Accounting Standards Board (SASB) in the U.S. and the Task Force on Climate-Related Financial Disclosures (TFCD) globally to bring rigor and consistency to ESG reporting. “If companies are open to investors’ request for sustainability information, there is an increasing segment of the investor market interested in looking at those companies as investable opportunities,” Wheelan told us. Israeli regulators have actively encouraged responsible investment over the past 15 years, as described in Maala’s 2018 report which was commissioned by the Alliance to Reinforce Israel’s Security and Economy (ARISE). In 2001, a new regulatory initiative required all listed companies to report on community investment activity. In 2011, the Ministry of Environmental Protection introduced an extended disclosure regulation on environmental management. In 2017, Israeli regulators required all pension funds and other institutional investors to disclose whether they use ESG criteria in investment decision-making. And early last year, the Israeli Securities Authority announced it is preparing a voluntary questionnaire regarding ESG indicators to be filed with listed companies’ annual financial reports. “Sustainable finance strikes me as a great fit for Israel,” Lang observed. She said there is an opportunity in Israel for greater use of green bonds, social bonds and green loans, where the emphasis is primarily on the asset or project being financed and to a much lesser extent on the ESG performance of the issuer. “I think there’s a clear opportunity for Israeli companies to issue use of proceeds bonds and loans in alignment with globally recognized standards such as the Green Bond Principles. This would support them in attracting the attention of international investors,” Lang explained. Israel is also well positioned to incentivize sustainability improvement with ESG- and sustainability-linked loans, as these focus on a company’s improvement in ESG performance over the loan term, Lang added. Among the Israeli companies prioritizing ESG considerations into their business strategy is Bank Hapoalim, Israel’s largest bank. It has achieved the highest ranking in the TA-Maala SRI Index and placed in the leading banking sector group in the Bloomberg, MSCI and RobecoSam ESG ratings. “We believe that investors realize today that a company's ESG performance has a strong link to its business performance and financial results for the long term. 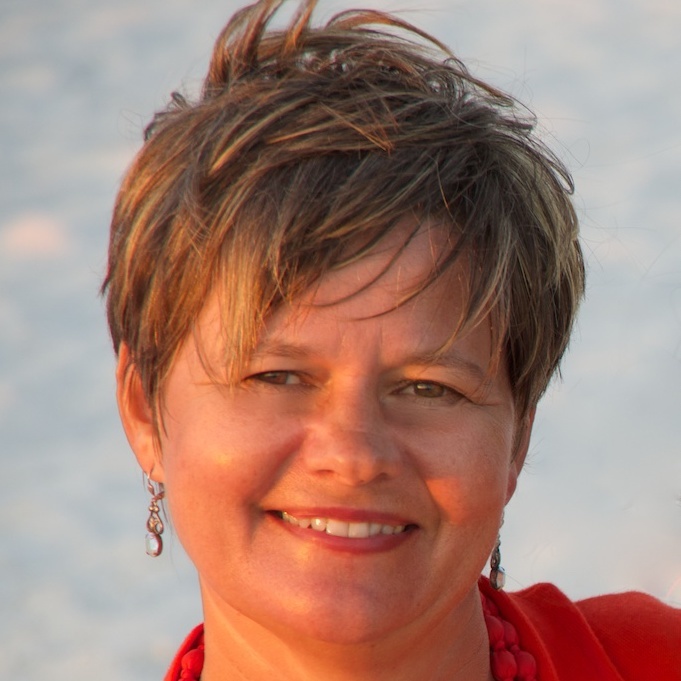 Therefore, we expect this interest in ESG issues to continue and grow,” said Sharon Alaluf, head of corporate social responsibility for Bank Hapoalim. “Unfortunately, not many companies in Israel publish CSR reports, and the bank serves as a market leader in this aspect,” she explained. The bank prioritizes such information, including answering “very detailed questionnaires and providing other documents which indicate our CSR performance, such as our financial report and relevant public policies,” Alaluf said. Financial inclusion seems to be a material subject for ESG-focused investors, Alaluf noted, and Bank Hapoalim invests and operates many projects designed to promote financial inclusion. This includes the launch in 2018 of the Financial Growth Center, which offers free financial learning materials to the public, and a focus on digital empowerment activities, especially for the elderly. The bank is making an effort to strengthen the field locally, she said. For example, it integrates ESG investments in its Nostro portfolio, which includes investments in some unique initiatives such as social bonds aimed to fight diabetes and in various social startups. In 2019, the bank plans to integrate ESG aspects in the investments consulting it provides to its customers and to launch a trust fund designed to provide social return in addition to economic return, Alaluf told us. 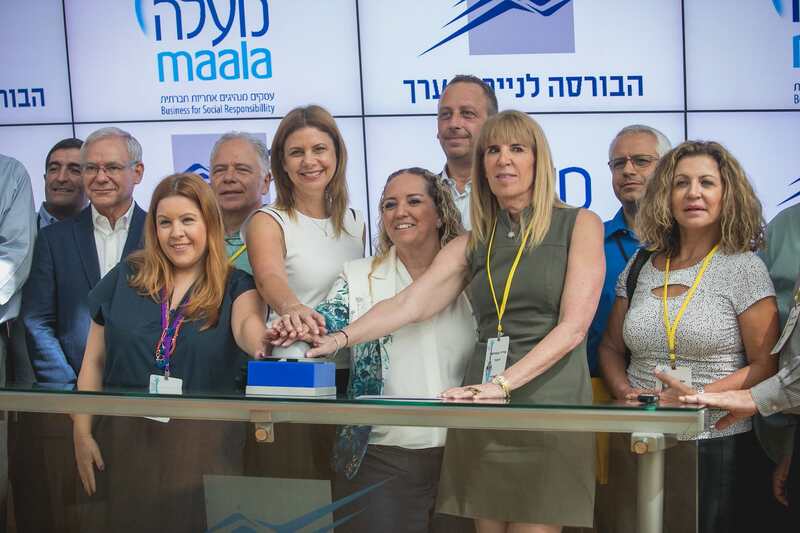 In recognition of the growing ESG interest in the Israeli market, and to advance the dialogue around CSR and ESG investment, Maala at its 2018 conference launched an Israeli ESG investment forum. 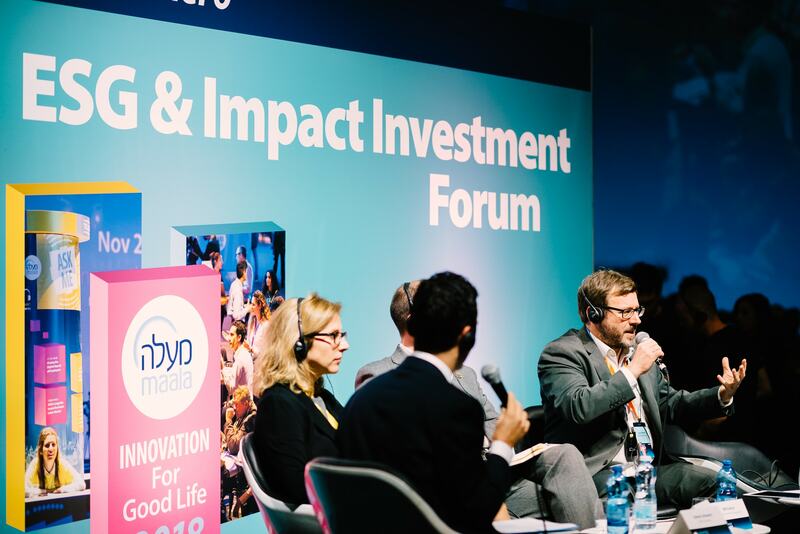 The forum serves as a platform for dialogue and data on ESG in the Israeli market aimed at both investors and companies.